One of the products Microsoft has had more success, and almost without interruption, is your console Xbox 360 has enjoyed since the start of a high acceptance by users, for example, its online services. Kinect has been another of the great strengths of this console and, in fact, this component has crossed the boundaries of electronic entertainment and has become the basis of multiple research and development projects at prestigious universities around the world. Microsoft wants to bring the world of console to PC and much more, apparently, Windows 8 could be the link since the Redmond company could work next year on an Xbox running Windows 8 in 2012 (which could be launched in 2014). If this console is an updated version of the Xbox 360 or a completely new console is something that is not yet clear and are voices both ways, but regardless of this, the chances of that union (Xbox and Windows 8) could be quite interesting . In fact, during the past Build, Microsoft revealed plans to include the Xbox Live service on Windows 8, which would allow PC users could compete against Xbox multiplayer games, which could even be extended to Windows users Phone and grouped under one umbrella to all users of their platforms. 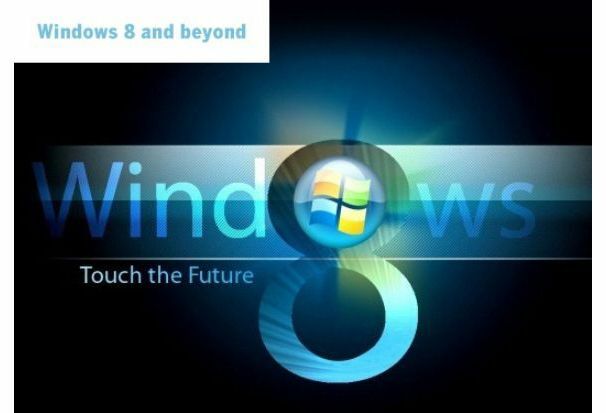 From a business perspective, Microsoft's strategy is very accurate and Windows 8 will play an integral role quite powerful. Conversely, Xbox 360 also begin to see some aspects close to Windows 8. For starters, the interface of Windows 8 Metro, ie widgets panel is something that will be distributed as an update on 6 December (but has already begun to be tested in beta mode for some users). If we add the company's intentions to include YouTube and Bing inside the Xbox, the console's approach to other types of services makes us understand much more of this convergence of platforms in which, thanks to Kinect users Xbox can search content by using the voice recognition feature. The business of video games on mobile handsets is growing rapidly and forecasts for the coming years are very optimistic, so it's no wonder that traditional sector companies are decidedly closer to these platforms. Good example is the recent move by Square Enix, a company known especially for the development of the series 'Final Fantasy'. Japan has announced the launch of the Square Enix Market, a new shop to sell their securities directly to the end customer Android, bypassing Google's platform or having to share with her ​​income. At the moment the business is only intended for Japan, where, thanks to an agreement with major carriers in the country, the store will come fitted as standard on their phones. Start operating next month of December and have already been confirmed as the remake title for IOS 'Final Fantasy', 'Dragon Quest Monsters Most Wanted! ', 'Chaos Ring' and 'Crystal Defenders', which in the future jewelry will be added as big as 'Chrono Trigger'. For now we will settle the Nipponese envy and wish that the store will one day to the West. It's like a universal law of the great game today. If the title is great, has a history or is expected by a large number of followers, a force must have collector's edition up to expectations. And it not just ask Mass Effect 3. Another third installment could not stay without their respective special edition is Max Payne 3 , yes, the same as the other day we see in motion , and delight with spectacular animation and action moments. Well today Rockstar Games has released the aforementioned issue , including the following. A figure of 10 "Max Payne. Some cards with art from the game. 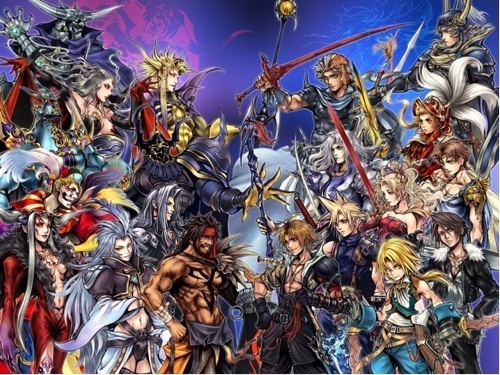 Classic characters of the series for multiplayer. The soundtrack of the title. This edition will cost $ 99.99 and has been confirmed for Xbox 360, PlayStation 3 and PC, for now only in USA, hopefully to be confirmed also for the other territories, because the truth is that it is very complete and LOOKS GOOD!! The birds finally reached Rio de Janeiro and as well I thought it was a good opportunity for you to can have in your PC DEMO albeit as this game has caused a great commotion among all the people say lovers video games, so if you want to have fun as your option is to download Angry Birds Rio for free and see if you can kill all the enemies here to kill you as look at as in previous versions there is no hint here of blood which is suitable for all children in the house, free download Angry Birds Rio. Angry Birds Rio is the new video game that will keep you very attentive to the PC as it is the best yet, while it has been one of the most played in mobile phones which will be only a matter of waiting a little longer for addicted to you as it should, we can say that this game is very addictive so I recommend you play only if you have nothing to do because once you try it you will not want to stop playing, download Angry Birds Rio PC. Long ago we knew the contents of the collector's edition of Mass Effect 3 was the amazon online store, who sleepless 5 months ago for the first time such content. According as shown in the official trailer, copies of this edition will be extremely limited and will be convenient to reserve. Those who are really waiting for this edition, do not have to receive such instructions. A metal box with the art of Colonel Shepard on one side and on the other, the Colonel Shepard. A 70-page book with the art of Mass Effect 3. A Mass Effect comic, by Dark Horse. A lithograph of Normandy 4x6. The Mass Effect 3 soundtrack in digital format. An Xbox Live Avatar (exclusive to Xbox 360). "Arsenal N7" including: N7 Pistol, SMG N7, N7 N7 Shotgun and Sniper Rifle. Vests exclusive to your squad. N7 and a sweatshirt for our character.